I'm back with another skincare review. I'm pretty picky when it comes to my skin - a lot of products freak out my sensitive/dry skin type but I found a winner. My skin has been glowing these last few months and it's because of some new products I'm using. Check it out! 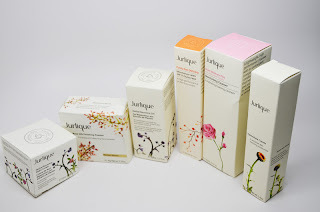 I got a nice amount of products from the Jurlique line. First off, the packaging is super dupe nice. It is a high-end skincare line so that's to be expected. There are a lot of glass jars/bottles which give it a luxury feel. A lot of these items worked really well on my dry/sensitive skin. Many of the items have a floral scent. At first I wasn't a fan, but then I grew to like it and it fades after a while. The first item is a night cream. The product is super moisturizing and sinks into the skin immediately. Loves this! 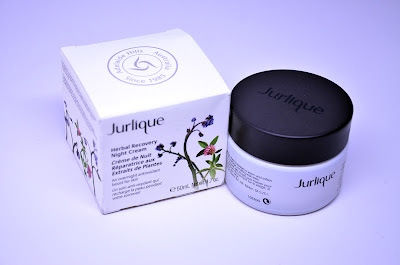 It feels great after removing your makeup at night and then adding back much needed moisture. This calendula cream is especially for after-sun treatment. 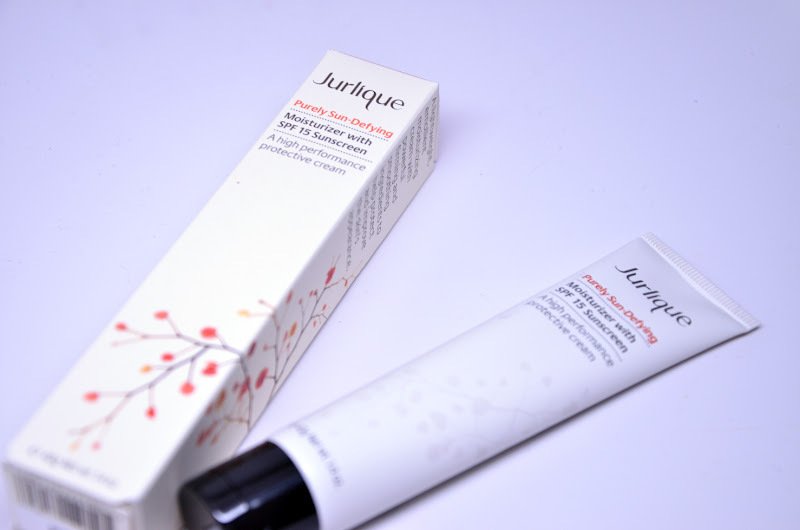 I didn't find it to be good as a moisturizer alone and I didn't spend a lot of time in the sun - however, it's got a nice, small size and convenient squeeze tube packaging for throwing in your beach bag. The day cream with SPF 15 is my go-to moisturizer. It comes out as a thick cream out of the bottle but also sinks right in. It gets my skin moisturized throughout the day with no dry patches like I usually get. Surprisingly it's lasted me a long time but I do wish the container was bigger. I was surprised to find this makeup product in a skincare line. It's a translucent powder. The packaging is again really nice...a glass jar with a sifter and puff. It also has that floral scent but I don't mind it. 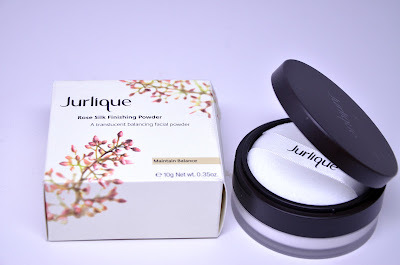 The powder is finely milled and is nice to set your foundation. I apply it with the puff which is super soft and plush. Score! 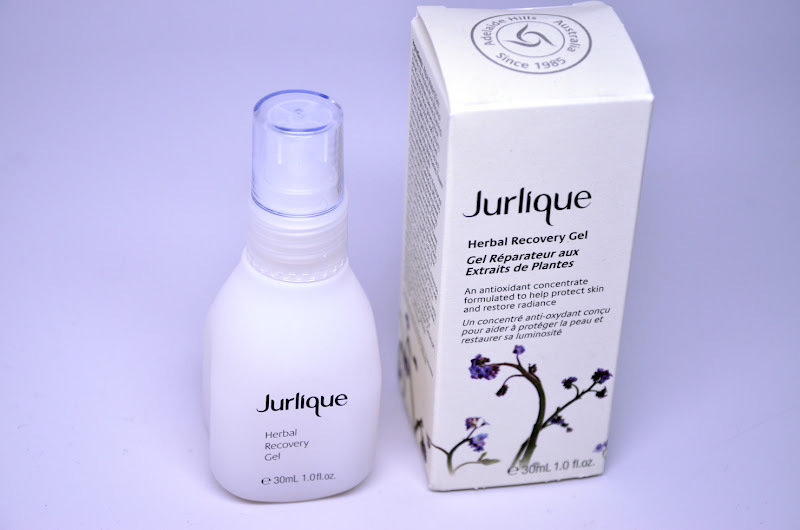 I apply this herbal recovery gel like a serum, putting it on prior to my moisturizer. I feel like it preps the skin adding that extra bit of moisture I need for the day. It's supposed to also help reduce fine lines. I think this is also what gives my skin that extra glow. Thumbs up! Lastly, the moisturizing cleanser is really nice for my dry skin. It's more of a low-suds creamy product. I'm not sure if it gets all the makeup off so I typically just use it in the morning when my skin is already makeup free. If you use it at night, I would recommend using makeup remover beforhand. It doesn't strip my skin of moisture and smells really nice.